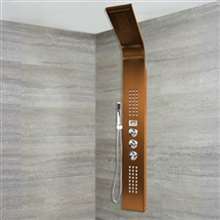 Spray, Hand Shower)Single function control. One function at a time. Shower Panel Depth: 2 1/4"
Hand Shower Hose Length: 59"
Quality is what I was after especially considering the price that I paid for this. Well, I wasn't disappointed. This thing worked like magic. It was easy to install and I was able to use it right away. I had some issues with some of the nozzles but they were okay after a while, I think the dust got in them but they're okay now. This is something definitely worth recommending. So we had this shower panel now for about two or three weeks, and so far we haven't had any problems with it whatsoever. It looks great, the stainless steel finish looks awesome, and every part and bit worked excellently. However, if there is one thing that I really love about this shower panel, it's got to be those body sprays. I can't stress enough how enjoyable and refreshing showering for me is right now. If you're looking for a more rejuvenating shower, you've got to give this one a try. I was expecting a lot from this shower panel - after all, it did cost me about $500 (thanks for the sale) and I must say that I was not disappointed. First, the shower panel looked excellent, the design and the surface finish looks very contemporary and suits my bathroom very well. The shower head and the body jets were just amazing - they definitely made showering much more enjoyable. 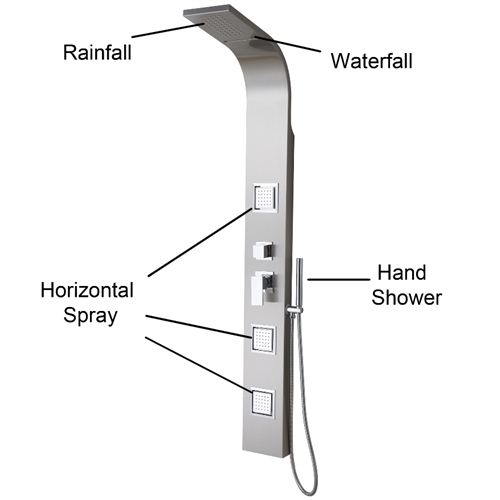 This shower panel has all the features that we wanted from such a bathroom fixture. 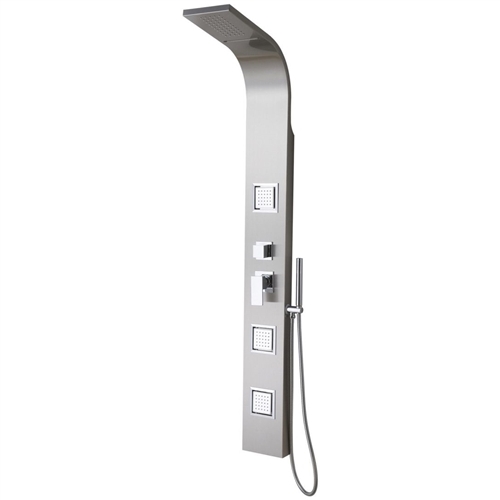 It has a beautiful euro inspired design with sleek silver finish; it has four different shower systems available, and the body jets are just amazing. 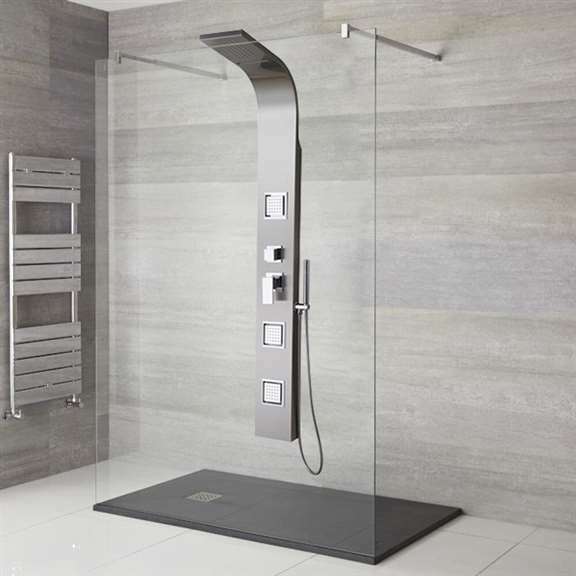 We were lucky enough to have bought this shower panel at a sale price - we saved around 50% on the price! And that that price range, this item was more than worth it!